With the boom in popularity of ebikes, there is a growing range of makes and models to choose from. 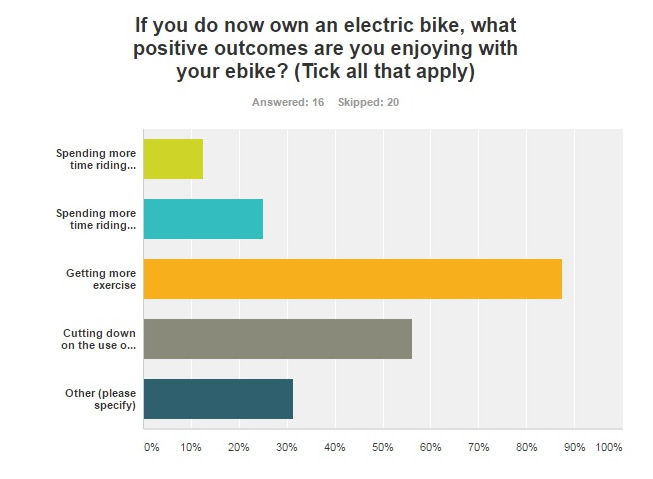 So how do you go about choosing an ebike that’s right for you? As a “last mile” utility vehicle – for instance getting to and from a train station, or getting to the fish and chip shop from a campground? This will help you determine the style of bike to focus on. For example, if you’ll be using it purely for urban commuting, then a mountain bike may not be the best solution. The next very important issue is the range. How far do you need to be able to ride on a single charge? Most people tend to think that the larger the battery the better, however it is important to understand that the battery is the heaviest component on an ebike, so going with a smaller battery, as long as it meets your distance needs, will result in a lighter bike. There are two different ways of expressing a battery’s capacity: Amp-hours and Watt-hours. An ebike that has a 36 volt electric system and a 10 amp-hour battery has 360 watt-hours (voltage times amperage). An ebike that has a 48 volt electric system and a 13 amp-hour battery has 624 watt-hours (48 x 13). As a rule of thumb, most ebike riders will use about 8 watt-hours per kilometer riding around town and around 13 watt-hours per kilometer riding on back country trails. So, a 360 watt-hour battery on a bike being used on urban streets should deliver around 45 kilometers of range. (Bear in mind that this can vary considerably depending on hills, winds, and effort exerted by the rider.) I find that when I go for an urban leisure ride, I typically ride about 25kms. Therefore a 10 amp-hour battery on a 36 volt bike would meet my needs if that was the only kind of riding I was doing. Motor brand and size. Common and reliable brands include Bosch, Shimano, Brose, Yamaha and Bafang. One thing to watch for: The European legal limit on motor size is 250 watts. So most European brands have a 250 watt motor. 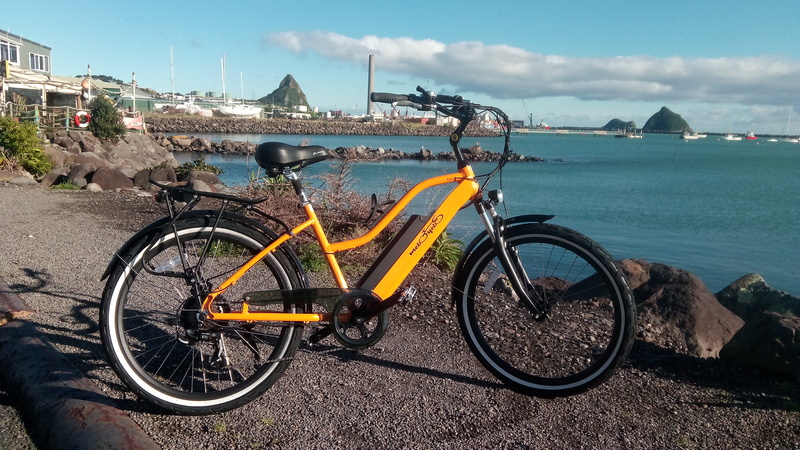 However the legal limit for motor size in NZ is 300 watts, and many bikes coming into NZ from Asia have 350 watt motors, limited at the factory to 300 watts of output. Type of speed sensor. There are two very different types of speed sensor: A cadence sensor and a torque sensor. Torque sensors are more expensive, and riders who like applying pedal pressure find that they deliver a more natural feeling boost to the legs. So, if you want an ebike on which you are rewarded based on how much leg pressure you are applying, then torque sensor is for you. If you want an ebike that is easy to ride and requires less leg energy to get good results, then a cadence sensor is probably right for you. Battery cell manufacturer. Most ebikes have what are called 18650 cells. They are a lithium ion battery about the size of a Double A battery. So, inside an ebike battery there are a number of these cells all being managed by a battery management system. Look for cells made by LG, Samsung or Panasonic, as these have proven to be the most reliable. Waterproof cabling. It goes without saying that this is an absolute must in NZ. Brand of componentry. Outside of the electric system, the most important components are the gears, the brakes and the suspension system. Reputable brands of brake systems include Shimano, Tektro and SRAM. Reputable brands of gear systems include Shimano and SRAM. Reputable brands of suspension systems include Suntour, Rockshox and Fox.